With the United States election season in full disgusting and despicable swing, it’s time for a detour into some of the dirty politics being played in this year’s ongoing example of a corporatocracy at work. 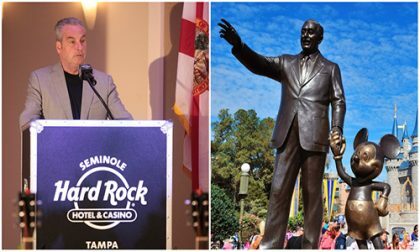 It’s off to Florida, where a massive dark-money campaign funded by Disney and the Seminole Tribe of Florida has placed a likely-to-pass constitutional initiative on November’s ballot that would place significant roadblocks in the way of any new casinos being built in the Sunshine State. As Orlando Sentinel op-ed writer Scott Maxwell has noted in a couple of exposé-style pieces, the latest of which appeared in August, the anti-casino Amendment 3 that’s on the November ballot and is likely to pass by a wide majority is actually a bald-faced, hypocritical attempt by Disney and the Seminole tribe to protect their own financial interests in the state. Also, just to be clear, I’m neither anti-Disney nor anti-tribal gaming — as I can prove from the two dozen or so tribal-casino loyalty cards that I possess. Instead, this is all about the dark-money nature of this Amendment 3, along with the very arguably false spin of the way this has been presented to Florida’s voters, originally and largely by Disney. This bill’s passage would likely retard progress toward legalized online poker and online gambling in Florida, which is another reason for poker players in the state and elsewhere in the US to be against its passage. Despite the proposed amendment’s claims of putting Voters in Charge, the secret here is that there aren’t any “voters” behind this amendment — at least in the financial sense. Instead, this is a big-money, protectionist project that will cause a change to the Florida state constitution requiring that any new casino project in Florida require statewide approval via referendum, which would mean a time-consuming and uphill battle for any such project. What’s rarely seen in current reporting, however, is the financial scope of the Disney / Seminole power play. Back in August, Orlando Sentinel writer Maxwell noted that some $27 million had been spent to date by the forces behind the initiative, $26 million of that in the form of cash infusions from the two entities being sent to Voters in Charge. That total has grown since then, with another round of financing having been noted in Florida’s campaign-finance database. To date, nearly $37 million has been dumped into the Amendment 3 effort since it was formed in 2015, with $36 million coming from the two big entertainment entities. The remaining million or so comes from the labor and physical resources channeled through an Orlando-area anti-gambling social welfare group, No Casinos, Inc. That group has been around for four decades or more, but there’s a good chance the Disney / Seminole money is behind the No Casinos expenditures as well. This seems to have been Disney’s baby from the outset. The first $5 million or so, from 2015 to late in 2017, was entirely Disney in terms of cash investment. Last year, when the Seminole nation came on board, it’s been a 50-50 deal. “… Disney is inconsistent when it comes to championing citizens’ voting rights. When activists in Orange County wanted to let voters decide whether the county should have a mandatory sick-time law, Disney pulled every trick in the book to stop voters from having a say. The company used lobbyists, secret texts and ultimately got county commissioners to break their own rules and block the vote… with some of the commissioners breaking the law in the process. As a constitution-changing initiative, the amendment needs a super-majority (60%) to pass. 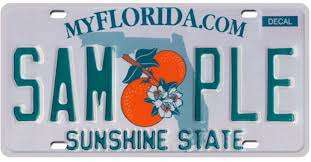 Nonetheless, that appears to be the likeliest outcome, which in turn represents a probable setback of years, if not decades, for the prospect of true casino expansion in Florida.